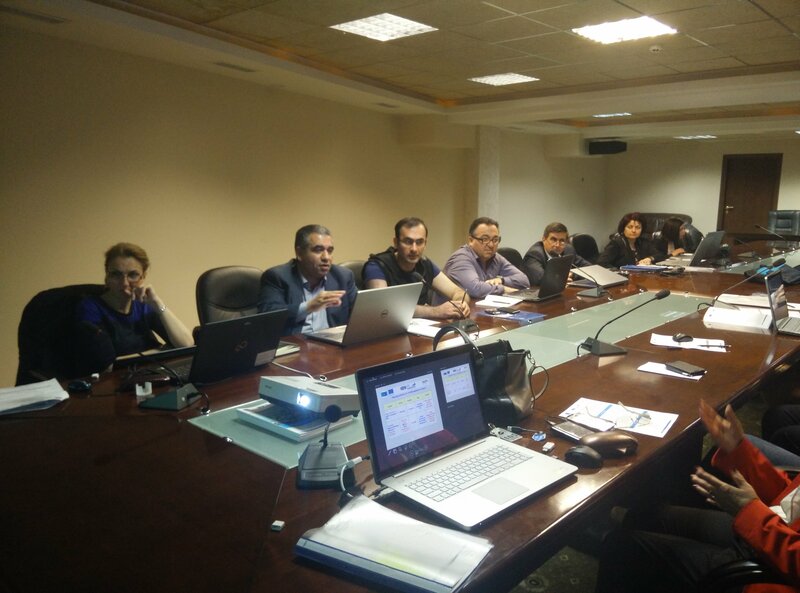 The third training session performed among CISWastewater Project aimed to disseminate the management concepts promoted by the DMAIC strategy in the IMPROVE and CONTROL Phases and Balanced Scorecard principles. The training session was developed in the common purpose of gaining the necessary skills to train specialists who will bring significant improvements in the work processes developed in the wastewater treatment facilities. 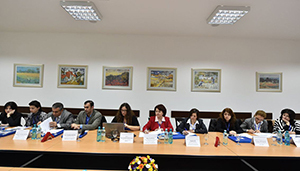 The third training session took place in Constanta, Romania and it was hosted by Project Partner SC RAJA Constanta, who created the proper framework for disseminating the concepts promoted by the Improve and Control Manual and Balanced Scorecard. 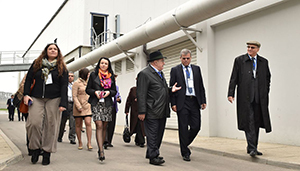 Representatives of the Romanian Research & Development Institute for Gas Turbines COMOTI (Eng. Cristina SILIVESTRU - Project Manager, Eng. Dan IFRIM - Environmental Protection Engineer, Prof. Ph.D. Dan ROBESCU - Environmental Expert, Ph.D. Eng. Diana Lacramioara ROBESCU - Environmental Protection Engineer, Exp. Ancuta - Maria CIRSTEA - Research Coordinator), SC RAJA SA Constanta (Ph.D. Eng. Aurel PRESURA - Deputy General Manager, Rodica MIHAI - Local Project Manager, Ph.D. Eng. Angela PANA, Ec. Iuliana BUGU - Local financial coordinator, Monica MAZILU - Environmental engineer, Liliana Dulgheru - Service Manager Laboratories, Madalina Enciu - Cernavoda WWTP Manager, Nela Sarghe - Deputy Head Quality), Black Sea Centre of Excellence - Bulgaria (Mrs. Nellie Gospodinova - Local Project Manager), European Regional Framework for Co-operation - Greece (Mr. Ioannis Papagiannopoulos - Research coordinator, Ph.D. Eng. Paris Fokaides), Yerevan State University of Armenia (Dipl. Eng. Gurgen ALEKSANYAN - Local Project Manager) and from the State University of Moldova (Ph.D. Maria GONTA, Local Project Manager, Ec. 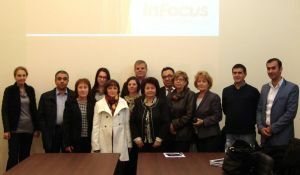 Svetlana Bajurea - Local Financial Coordinator) attended the training organized in Constanta. Improve and Control are the last phases of the methodology DMAIC that ensure the implementation and the sustainability of the improvements with minimal cost and maximum efficiency. Improve section details how to identify the potential improvement solutions and how to select the most appropriate one. A valuable statistical tool called Design of experiments (DOE) is presented and recommended to be used for detecting the effects of some causes of defects and the interactions between them. Control section identifies the risks that may occur and can lead to loss of performances of the improved process. Failure Mode and Effects Analysis (FMEA) and mistake - proofing are introduced to prevent problems through control and detection techniques. The Improve and Control Phases are ending the DMAIC strategy and are continuing the training session held in Dobrich, where the participants were introduced intro the principles of Measure and Analyze phases. Also, the Balanced Scorecard Manual, as the second subject of the training session, represents a useful guidance tool of continuous improvement for managers, designers, process engineers and operators who have an interest in improving the performance of wastewater treatment facilities. The third training session was concentrated on providing the 20 participants the opportunity to make contact and work with the basic principles of the Improve and Control Phase and Balanced Scorecard Manuals, in order to be able to utilize and spread useful information to the WWTF managers who will implement continuous improvement projects in their work processes. 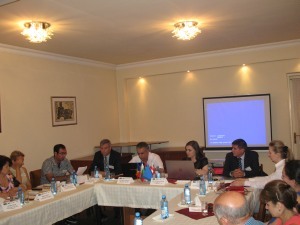 Between 16th and 19th of July 2015 was held in Yerevan the workshop of dissemination of the "Continuous improvement strategy for increasing the efficiency of the wastewater treatment facilities of the Black Sea coastal states - CISWastewater" project, financed by the Black Sea Basin Joint Operational Programme 2007-2013. 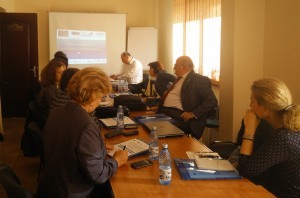 The workshop was hosted by the local project coordinator in Armenia - State University of Yerevan. 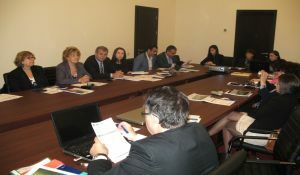 The partners' meeting in Yerevan had the purpose of illustrating the results of the CISWastewater project and distributing them to the Armenian target groups - Department of Water Supply and Drainage Systems of RA State Water Management Committee, Armenian Water and Sewerage Closed Joint Stock Company ("Hayjrmukhkoyukhi") and Yerevan Djur CJSC. The workshop hosted representatives of the organizing and partner institution State University of Yerevan - Eng. Gurgen ALEKSANYAN - local project coordinator, PhD.Eng. 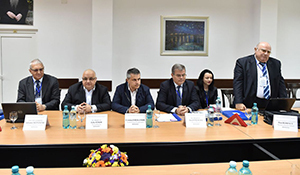 Gor ALEKSANYAN - financial coordinator, together with representatives of the Beneficiary - Romanian Research and Development Institute for Gas Turbines COMOTI - Eng. Dan IFRIM - environmental protection engineer, Exp. Ancuta - Maria CIRSTEA - research coordinator, Ec. 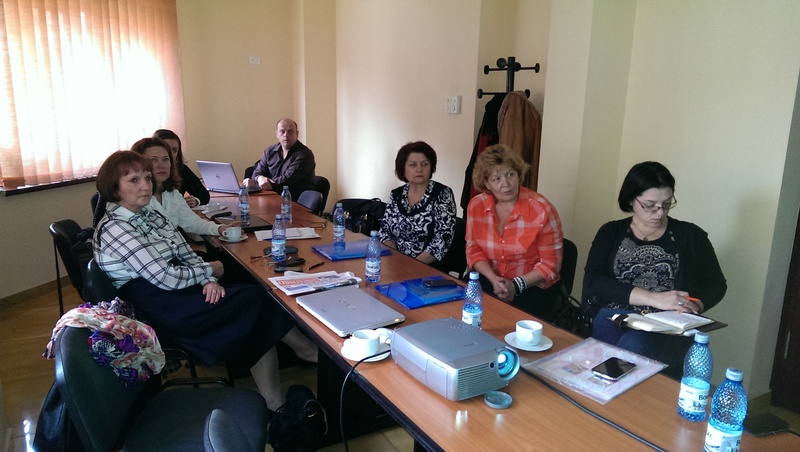 Marilena IGNAT - financial coordinator, and representatives of the project partners - SC RAJA SA Constanta - PhD.Eng. Aurel PRESURA - Deputy General Manager, Rodica MIHAI - local project coordinator, PhD.Eng. Angela PANA - environmental protection engineer, Black Sea Centre of Excellence - Nellie GOSPODINOVA - local project coordinator, State University of Moldova - PhD. Maria GONTA - local project coordinator. Also, the participants' list included representatives of the project target groups - Mr. Sebouh BERBERIAN - Director of the Drainage Water Department of wastewater treatment plants operation of Armenian Water and Sewerage Closed Joint Stock Company, Mr. Samvel YAZHYAN, Head of WWTP & Pumping Stations Department, Mr. Valery GRIGORYAN manager of "Yerevan Djur" CJSC "Aeratsia" WWTP, Mr. Andrea Cirino POMICINO, General Manager of the Italian company DERIPLAST PALADEX S.A. and Mr. Florin PETRE, Production Manger of the company. Mr. Gurgen Aleksanyan initiated the discussions of the project partners' meeting with the target groups representatives of the promoted principles by CISWastewater, highlighting the fact that "the continuous improvement strategy of WWTP's management developed within the scopes of the joint project is very important for all the participating countries of the project in the circumstances of constant shortage of financial means in their local budgets for WWTP's modernization". 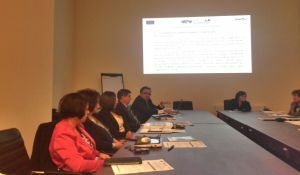 After all the participants became familiar with the scope and the objectives of the CISWastewater developed action, the discussion session continued with the update of the actual implementation status and the preliminary results of the project, obtained through the common effort of the seven project partners in the fifth phase of the project. 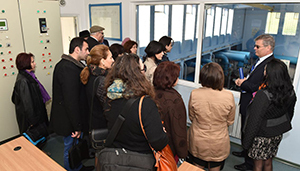 The Yerevan Workshop ended with a visit at the wastewater treatment facilities in Tavush and Gegarkhunik regions of the ''Armenian Water and Sewerage Company'' CJSC, in a common discussion framework over the concepts promoted by the continuous improvement strategy and the project results, between the WWTF managers and the CISWastewater project partners. 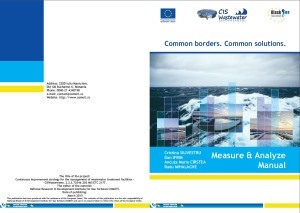 The workshop objective was achieved, giving to all the participants the possibility to disseminate the results obtained and also to extend these results at the target groups' level interested by the common action of the seven partners involved in the development of the CISWastewater project. The MEASURE and ANALYZE Phases were disseminated by the CISWastewater project partners in Dobrich, between 23rd and 28th of April, 2015. 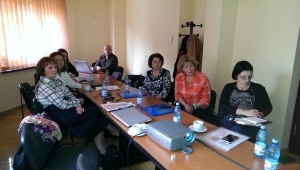 The training session was hosted by the Black Sea Centre of Excellence’s Chairman – Mrs. Nellie Gospodinova. The training session hosted representatives of the Research & Development Institute for Gas Turbines COMOTI - Eng. Cristina SILIVESTRU – Project Manager, Eng. Dan IFRIM – Environmental Protection Engineer, Prof. Ph.D. Dan ROBESCU – Environmental Expert, Ph.D. Eng. Diana Lacramioara ROBESCU – Environmental Protection Engineer, Exp. Ancuta – Maria CIRSTEA – Research Coordinator, SC RAJA SA Constanta – Ph.D. Eng. Aurel PRESURA – Deputy General Manager, Rodica MIHAI – Local Project Coordinator, Eng. Angela PANA – Environmental Engineer, Black Sea Centre of Excellence Bulgaria - Neli GOSPODINOVA – BSCE Project Manager, Makruchi GYULIYAN – Research Coordinator, Dimitrina GAMOLOVA – WWTP Chief ViK Dobrich, European Regional Framework for Co-operation Greece - Eng. 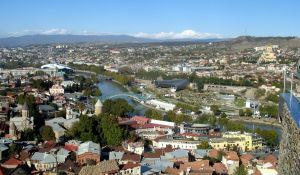 Theodoros PATSOULES – Local Project Coordinator, Yerevan State University of Armenia - Eng. Gurgen ALEKSANYAN – Local Project Manager, Ph.D. Gor ALEKSANYAN – Financial Manager and from the State University of Moldova - Ph.D. Maria GONTA – Head of Dpt. of Industrial and Ecological Chemistry, Local Project Manager, Dipl. Eng. Angela LIS – Research Coordinator. Pursuing the DMAIC methodological cycle, after completing the acknowledgement of the project’s scope, objectives, CIS work team and potential risks, managers continue their improvement strategy by initiating a research to determine the performance of the current process and concentrate their efforts to identify the root causes of the problems to be eliminated. In CIS terminology, these two initiatives are identified as Measure and Analyze phases, coming after Define phase and preceding Improve and Control phases. Measure phase prepares the process for change, by monitoring its actual performance and variation points and the Analyze phase examines the data using specific tools, in order to identify all the possible sources of variation that contribute to the key characteristics selected in the Define phase. Measure and Analyze Manual provides both theoretical and practical aspects necessary for a WWTF manager to gain the capability to collect data, determine the baseline of the process and utilize the proper instruments to validate the root causes of the problems. The manager will gain, after assimilating the concepts presented in the ”Measure and Analyze Manual”, the adequate framework to make improvements in the treatment process and also in the managerial aspects of the wastewater treatment facility. The training session continued the previous process from Tbilisi, Georgia, in Dobrich, Bulgaria, where the 18 participants were introduced into the basic principles of continuous improvement strategies. 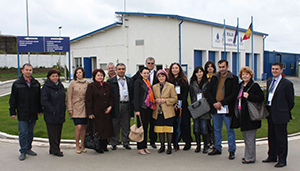 After being familiar with the theoretical basis of the main concepts of DMAIC methodology and with practical instruments utilized by CIS practitioners, the participants were trained and accustomed with basic statistics concepts and tools, in order to utilize the gained skills in making improvements in the wastewater treatment facilities on the Black Sea coastal states. The four days of training were adapted to the „Measure and Analyze Manual” structure and combined theoretical concepts with statistical software practice, in the common purpose of gaining the capability to put together data coming from the wastewater treatment sector and make improvements. 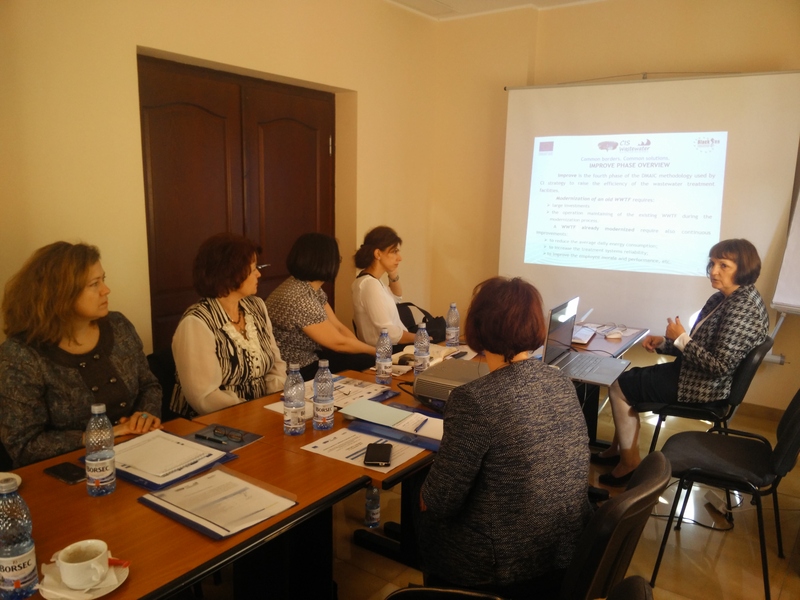 Dobrich training session gave all the project partners the opportunity to work and operate together with the statistical principles and instruments promoted by the Measure and Analyze Manual. The training session functioned as a common cooperation and debate platform, in order to put together ideas and useful knowledge for the wastewater treatment facilities managers who will implement continuous improvement strategies. The DEFINE Phase Training took place in Tbilisi, Georgia between 23rd and 26th of October and it was hosted by the Georgian Partner of CISWastewater– the International Centre for Social Research and Policy Analysis, represented by Mrs. Elene CHKHEIDZE. One of the purposes of the CISWastewater Project is to train capable managers, in terms of learning key-elements of implementing a continuous improvement strategy. This initiative was concretized by developing the first manual following the DMAIC methodology – DEFINE Manual. It develops a series of elements which require WWTF managers' attention, for being able to improve the treatment processes of the municipal and industrial wastewater, in order to reduce the Black Sea high degree of pollution. The DEFINE Phase's objective is to select a well-bounded CI project and define the best strategy to deploy and achieve it. The DEFINE Manual highlights the problems needing to be solved through the project development, helps the managers to identify the customers' needs, describes the preliminary problem for improvement and sets the project's goal. DEFINE Manual intended to break the language barrier, being translated in Romanian, Armenian, Greek, Bulgarian and Georgian languages, to ensure a better implementation of the displayed principles and a correct dissemination of the information provided in different work environments. Representatives of every partner institution attended the DEFINE Phase training, starting with the Beneficiary - COMOTI Romanian R&D Institute for Gas Turbines - Eng. Cristina SILIVESTRU – Project Manager, Dipl. Eng. Dan IFRIM – Environmental Protection Dpt. Head, Ph.D. Eng. Diana Lacramioara ROBESCU – Environmental Protection Engineer, Exp. 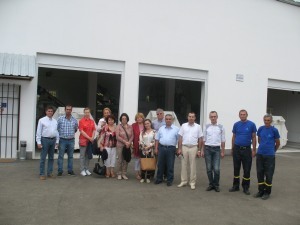 Ancuta – Maria GUGU – Research Coordinator, and the Partners - SC RAJA SA Constanta – Ph.D. Eng. 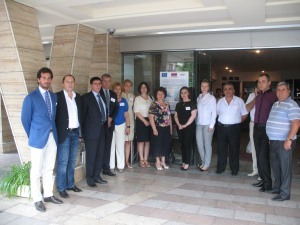 Aurel PRESURA – Deputy General Manager, Rodica MIHAI – Local Project Coordinator, Iuliana BUGU – Local Financial Coordinator, Black Sea Centre of Excellence Bulgaria - Neli GOSPODINOVA – BSCE Project Manager, Makruchi GYULIYAN – Research Coordinator, European Regional Framework for Co-operation Greece - Eng. Theodoros PATSOULES, International Centre for Social Research and Policy Analysis from Georgia - Mrs. Elene CHKHEIDZE – Executive Director, Yerevan State University of Armenia - Dipl. Eng. 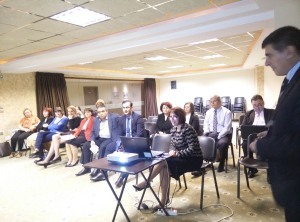 Gurgen ALEKSANYAN – Local Project Manager, Ph.D. Gor ALEKSANYAN – Financial Manager, and the State University of Moldova - Ph.D. Maria GONTA – Head of Dpt. of Industrial and Ecological Chemistry, Local Project Manager, Dipl. Eng. Anjela LIS – Research Coordinator. The three training days followed the DEFINE Manual structure and focused on providing useful knowledge to the managers, who gained specific and adapted skills on implementing a Continuous Improvement Strategy in the wastewater sector. After being acquainted with the DEFINE phase's principles and stages, the trained specialists are capable to identify an adequate strategy of improving the treatment processes, and also to prepare its future implementation, by adapting the learned key-aspects to the WWTF's specificity. 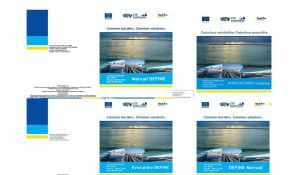 A common dialogue between all project partners was spontaneously and naturally created and it helped them discover the frequently encountered difficulties in their implementation activity and also find appropriate solutions. The training for DEFINE Phase, besides its main purpose of learning new concepts, helped the working team to consolidate their dialogue and strengthen their work relationship. 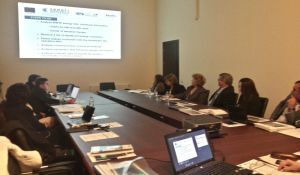 "The continuous improvement strategy for increasing the efficiency of wastewater treatment facilities in the Black Sea coastal states - CISWastewater" started at Constanta, at SC RAJA SA headquarter, between 9 and 11 April, 2014. 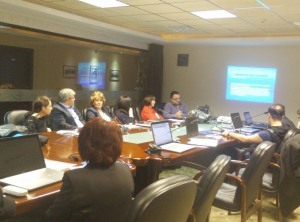 The meeting put together all the seven partners involved in the Project - Romanian Institute for Research and Development for Gas Turbines COMOTI, SC RAJA SA, Black Sea Centre of Excellence - Bulgaria, European Regional Framework for Co-operation - Greece, International Centre for Social Research and Policy Analysis - Georgia, Yerevan State University - Armenia and the State University of Moldova. 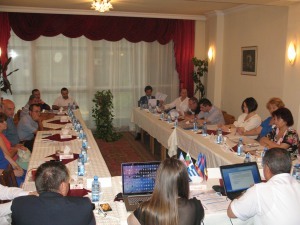 The first official reunion of the partners materializes the efforts and the cooperation of the Black Sea coastal states, in the purpose of increasing the efficiency of the water treatment systems in the Black Sea basin and developing the capacity of the decision-makers of the wastewater treatment facilities for an easier responding to changes. 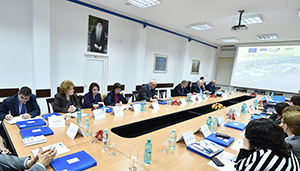 The kick-off meeting hosted the cooperation between the representatives of every state involved in the CISWastewater Strategy and also the participation of representatives from the Ministry of Regional Development and Public Administration, Black Sea Basin Joint Operational Programme - Stela Sachelarescu, Nicolae Minculescu, and the Vice-president of the County Council Constanta - Cristinel-Nicolae Dragomir. The guest list included the representatives of: Romanian Institute for Research and Development for Gas Turbines COMOTI - President - General Manager Dr. Eng. Valentin Silivestru, Project Manager Eng. Cristina Silivestru, Environmental Protection Engineer Dan Ifrim, Prof. Ph.D. Eng. Dan Robescu, Prof. Ph.D.Eng. Diana - Lacramioara Robescu, SC RAJA SA - General Director Felix Stroe, Deputy Director Aurel Presura, Rodica Mihai, Angela Pana, BSCE Bulgaria - Nellie Gospodinova, Teodora Petkova, Elitsa Zamfirova, ERFC Grecia - Maria Kanellopoulou, State University of Moldova - Ph.D. Maria Gonta, Eng. Anjela Lis, Yerevan State University - Dr.Eng.Gurgen Aleksanyan, Dr. Gor Aleksanyan and ICSRPA Georgia - Elene Chkheidze, Nino Kvavadze. 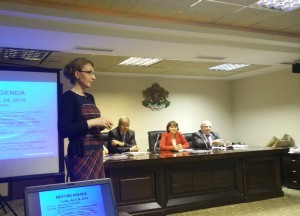 The discussions of the seven partners analyzed the actual situation of the wastewater treatment facilities of the three states with direct access to the Black Sea, based on a continuous improvement strategy in order to increase the efficiency of their functioning, by decreasing the costs. Also, they have analyzed the current status of every partner involvement and have established the next phase of the project. 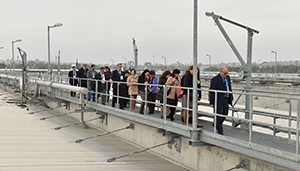 All partners had the opportunity to closely analyze the status of the wastewater treatment process by visiting the wastewater treatment facilities from Constanta North and Eforie South.